Need more Pai Sho or other Avatar related games in your life? Try the following resources. Paiko quickly became one of my favorite games. For a different take on a Pai Sho inspired game, check it out (look here, too)! Paiko is a very different game from Skud Pai Sho, and I highly recommend it. While it is inspired by Pai Sho, it is a completely unique and separate game. 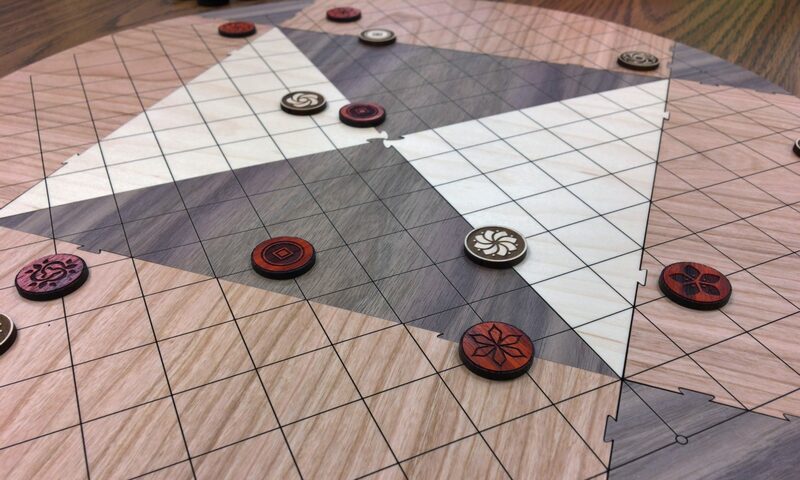 It is available to print and play right now, but it is also possible to play it on a Pai Sho board! I think every fan of Avatar should check out Element, a game where players control the board by wielding the power of the elements. Gambler and Vagabond is an Avatar fanfiction work that is about Pai Sho. It’s one of the best original fanfiction stories I’ve seen! It is incomplete, but still a great story about two characters as they journey the world through Pai Sho. Check out Vagabond Pai Sho for the rules for the Pai Sho variant seen in this story – you can even play it online at The Garden Gate!